When it comes to estate planning in Jacksonville, we often recommend that every person, as they grow older, should create a long-term health care and estate plan. The sad reality is almost everyone if they live long enough, will need health care assistance at some point in their lives. Usually, a this means nursing home care which is expensive. Nursing homes can provide 24/7 support to patients with disabilities and other conditions that need professional care. One of the problems with long-term health care is that it can be incredibly expensive. Nursing home care can cost $8,500 up to $20,000 a month. These expenses can quickly eat through someone’s assets, which means that a lifetime of savings can go down the drain to pay for a person's needs. Elder Law planning can permit our clients to become eligible for Medicaid even if they would not otherwise qualify. Medicaid is a federal program, administered by the state of Florida, to help the poor cope with high health care costs. Hospitals, nursing homes, and other healthcare providers in Florida give a large variety of services through Medicaid to those who qualify for the program. Florida’s Department of Children and Families administers the program, which is where Florida residents apply. Federal and state taxes fund Medicaid and the state runs the program according to state rules. Florida has made Medicaid incredibly hard to qualify for, and the state requires that applicants pass both an income test and an asset test. Both of these tests limit how much wealth a person may have before they are no longer eligible for government assistance through Medicaid. The applicant cannot earn more than $2,199 in gross income a month. Further, an applicant cannot have non-exempt or countable assets that exceed $2,000 or an individual and $119,220 for a married couple. What is important to note in this instance is the Department of Children and Families only counts certain types of income and assets. Determining if a family will qualify for Medicaid in Florida can be difficult to understand. 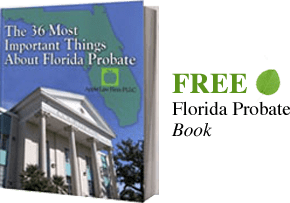 Because of the complexity of the rules we recommend hiring an experienced Jacksonville Elder Law attorney to analyze the income and assets. If an applicant fails either the income test or the asset test it can take years to become eligible without proper Medicaid planning. Often the sooner someone begins to plan for long-term health care the sooner they will be able to qualify. Many of the best tools can take up to 60 months to implement for the best results. Jacksonville and Ponte Vedra Medicaid Planning Lawyers can help clients apply and qualify for Medicaid even if they would normally fail the income and asset tests. The application process can be long and challenging. The Department of Children and Families has to account for an applicant’s assets and gross income. The department must also value these assets and apply for any credits in the candidate’s favor. The process typically takes months to finalize. Some clients will need particular estate planning and asset protection tools to become eligible for Medicaid in the Jacksonville area. We often recommend clients transfer assets and income into an iPug™ trust or a Medicaid Protection Trust. These tools permit the client to retain complete control over the property. Because family or trusted individuals are the beneficiaries, these trusted people can use the assets to provide extra care for the client that Medicaid does not cover. For example, an individual can upgrade to a private room, so they are not sharing a room and bathroom with strangers. These trusts can also help to preserve a person’s assets so they there are funds to take care of them and their spouse for life and then leave the remainder to whom they choose instead of going to the state to repay the costs of care. Sometimes we also recommend that our clients use a Ladybird Deed for certain investment properties to transfer the remainder interest upon death without being subject to probate. Florida grants its residents a homestead exemption for Medicaid, which means the state does not count a home with less than $552,000 in equity. If the homestead is over $552,000, there are asset protection tools that can be used to help protect the additional value. A ladybird deed can permit the applicant to retain the right to live in the home as well as sell, convey, mortgage, and transfer the house. An enhanced life estate allows the holder to live in the home until he or she passes away. During the lifetime of the applicant, another person such as a family member will have a remainder interest in the house, but only upon the death of the person or persons who hold the life estate. If you have questions about how to qualify for Medicaid or protect assets from loss due to you or your spouse needing long-term care or would like more information about Medicaid in Jacksonville or other areas of Florida, email a Jacksonville Jacksonville Elder Law Lawyer or call us at 904-685-1200 to discuss your situation today. For Medicaid related issues we offer a free 30 minute initial consultation.